Not all real estate agents are created equal; take the time to speak with your neighbors, friends and colleagues about their personal experience with local real estate agents. Drive around the neighborhoods where you are interested in either buying or selling property – look at the names on both the “for sale” and “sold” signs. You can also research real estate agents using online review sites, however, it is important to verify online information in person to guard against false reviews. Some large real estate brokerages use one agency spokesperson to promote their company and recruit new clients, only to pass off those clients to junior agents. Beware of real estate agents who claim to have sold an impossibly high number of properties. This is usually the sign of some deceptive marketing on the part of the brokerage; potential clients contact the agency believing that they will be able to hire a high-volume, high-profile agent, when the reality is that this spokesperson/agent is being aggressively promoted as a way to recruit new clients to the brokerage firm. Successful real estate agents are the ones who know their focus areas inside and out; a local specialist will know all the details about a particular neighborhood such as where the best schools are, commute times and current selling prices. Real estate agents who choose to work in specific neighborhoods are often the first to hear about both new listings and buyers who are looking in the area, giving their clients the “inside edge” when it comes to both buying and selling. Many buyers and sellers are unclear about the specific role of a real estate agent, what type of services they should expect and how frequently their Realtor will communicate with them. Carefully consider what exactly you are looking for in a real estate agent – do you want to work with someone who will phone you every week with updates about interest in your property, or would you prefer to communicate with your agent using email or text messaging? Do you want to work with a small, intimate real estate company that can provide personalized service, or would you prefer to deal with a large brokerage? 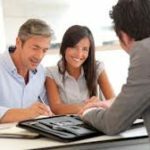 When it comes to choosing the right real estate agent in Los Angeles, consider the advantages of working with a local specialist at Los Angeles Real Estate Unlimited agency. As a small, boutique brokerage, the real estate agents here are committed to providing their clients with professional, personalized Los Angeles real estate services. Contact Los Angeles Real Estate Unlimited today, at 213 375 8738 to arrange a free, no-obligation consultation to discuss your real estate needs.